Although I have used all the major editing programs my favourite is EDIUS for it’s speed and reliability. On this website you can see in-depth information about EDIUS, buy my complete tutorial set, and see many free tutorials. You can order EDIUS via this website you will get support for installation and use of the program from me as well. 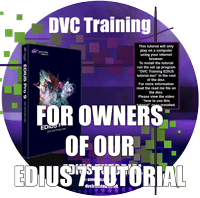 Click here to read more about EDIUS..
Click here to order EDIUS..
You can ring me on 07443 512146 or email david@dvctraining.co.uk for help or advice on your system or using any of the editing programs mentioned here. The charge is £60 for the first hour and £20 per hour after that. Answers to simple questions are free. Support is payable after you have received support and are happy with the results. If your computer needs extensive work you can also bring or send it to DVC HQ after discussing this first, of course. For more information visit the DVC support pages. We offer one to one and group courses in Grass Valley EDIUS, Adobe Premiere Pro & Adobe Encore, and introduction courses to After Effects and Avid Media Composer. Training can either be at DVC or on your premises. Cost is £300 per day for one to one courses and £400 per day for group courses. I can also offer remote training over the internet in small sessions – either by phone or by remote controlling your computer and showing you how to do something while we discuss it over the phone. These sessions are charged on an hourly basis. Contact david@dvctraining.co.uk for more details. 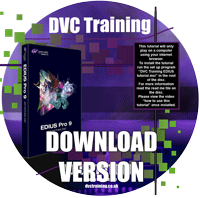 I have a large selection of downloadable complete training courses you can buy covering Grass Valley EDIUS, Adobe Premiere Pro, Adobe Encore and VisTitle. If your internet connection is poor you can also order them for delivery by post. A selection of guides in plain English concerning matters to do with editing video on a computer. 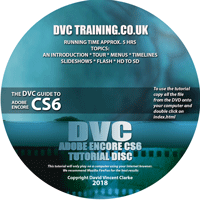 You can see these guides on the DVC support pages. A selection of videos covering different aspects of programs which are not covered in our DVD training sets. 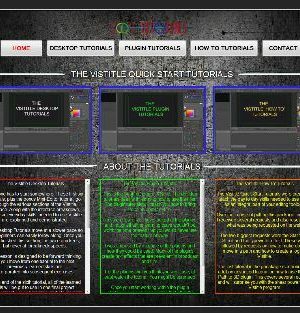 This will give you an idea of the style of my tutorials and my style of presentation, as well as explaining different features. You can also view all the videos on my YouTube channel.